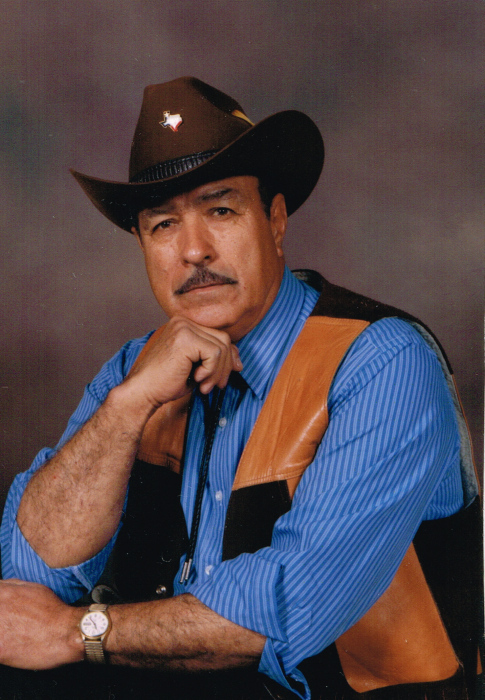 Ernesto Olivarez Rodriguez age 84 of Grandview, WA passed away Wednesday, April 10, 2019 at his home in Grandview. Ernesto was born November 3, 1934 in Edinburg, Texas the son of Guadalupe (Garcia) and Ernesto Rodriguez Sr. He received his early education in Texas. On October 5, 1955 Ernesto married the love of his life, Andrea Navejar in Toppenish, WA. Ernesto and Andrea made their home in Outlook, WA until moving to Grandview, WA in 1960. Ernesto worked most of his life as a farmer, working for Jimmy Michael’s Farm and Simpson Farms. He also did lawn care for Blessed Sacrament Catholic Church and was a laborer for Twin City Foods where he retired. Ernesto enjoyed going hunting, fishing and dancing. He also loved gardening, singing, and family gatherings.Ernesto was an avid Mariners and Seahawks fan. He was a member of the Blessed Sacrament Catholic Church in Grandview, WA. Ernesto is survived by seven children; Raul Rodriguez, Marylou (Robert) Tucker, Sylvia Rodriguez (Bill Lambert), Gilbert Rodriguez (Sandra Cardenas) all of Grandview, WA, Ernie (Dena) Rodriguez of Kennewick, WA, Octavio Rodriguez (Shelia) of Prosser, WA and Sabrina Rodriguez (Scott Smotherman) of Mabton, WA., thirteen grandchildren and fourteen great grandchildren. He is also survived by one sister Elida Campos, 2 half sisters Esperanza Garcia and Manuela Sabedra and numerous nieces and nephews. He is preceded in death by his loving wife Andrea Rodriguez, parents Ernesto Sr. and Guadalupe, Sisters Alicia and Lidia, four brothers Felix Zamora, Alberico Rodriguez, Octavio Rodriguez and Reynaldo Rodriguez. Viewing and visitation will be held Sunday, April 14, 2019 from 3:00 pm to 8:00 pm with recitation of The Holy Rosary at 6:00 pm at the Smith Funeral Home Chapel in Grandview, WA. Mass of Christian Burial will be Monday, April 15, 2019 at 10:00 am at Blessed Sacrament Catholic Church in Grandview, WA with burial to follow at Grandview Cemetery in Grandview, WA. Those wishing to sign Ernesto’s online memorial book may do so at www.funeralhomesmith.com Smith Funeral Home in Grandview in care of arrangements.